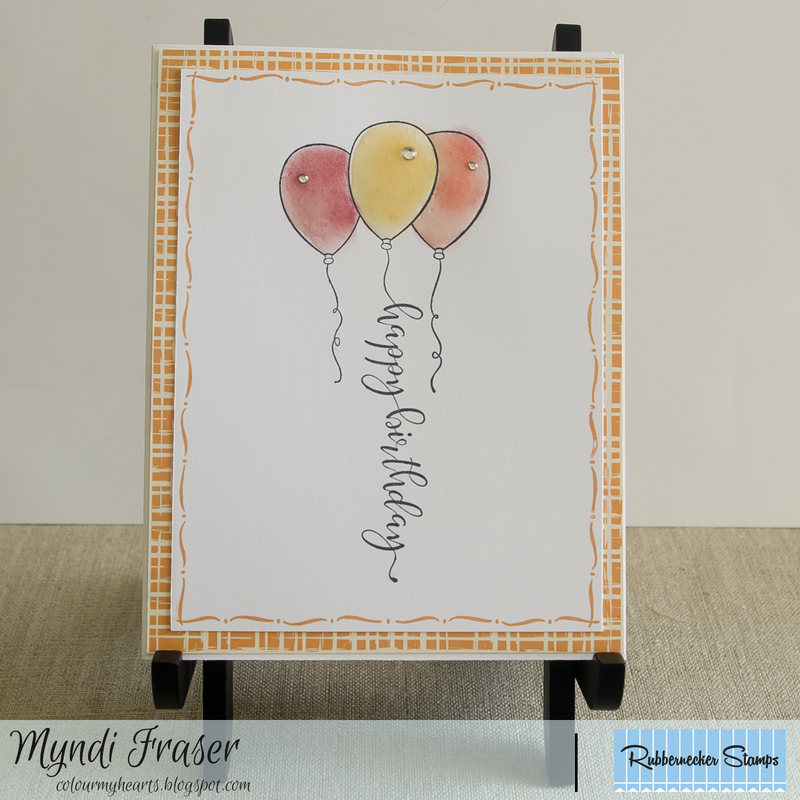 I'm back with another card for Rubbernecker Stamps, this time using the Birthday Balloons stamp. After I inked up the balloons, I used Glossy Accents and rhinestones to finish it up. All of my ink and paper is from Stampin' Up. I also used the Rubbernecker stamp Dash Dot Frame for the card border. 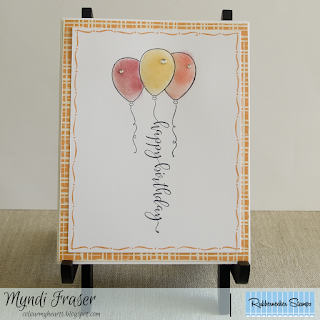 It's a simple card, and I love these new balloon stamps with messages. There are also Happy Retirement and Congratulations ones. My summer has been super busy, and the kids have just a few more weeks off school so we're making the most of it with a big family trip right away. Then when we get back hockey and football will be in full swing. We have to make the most of our time off while we can! I hope you're having an awesome summer out there.